We hand make these beautiful jars of bath salts. 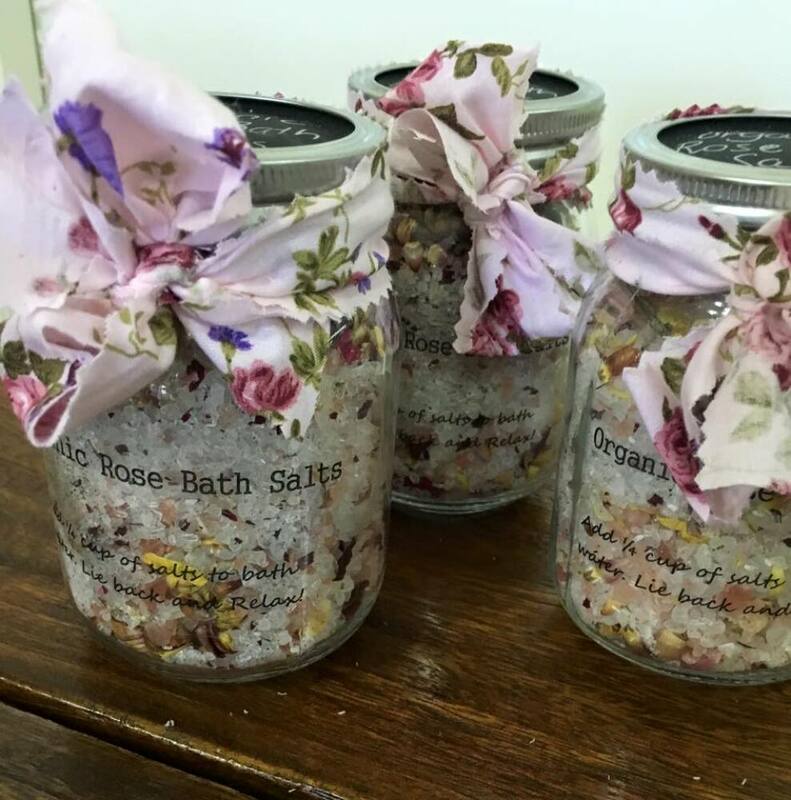 We dry our own rose petals and create a wonderful mix of relaxing bath salts to help ease away the aches and pains. What a georgous gift to add on to your flower order.